I’m not sure if there’s English equivalent of this Russian proverb but I believe that you’ll get the point if I say that “he was drinking till green imps appear”. Imps, fairies, gnomes… I think that signs of alcoholic delirium are similar in every country. I couldn’t blame Misantropus in it but the artwork of their fifth album “The Gnomes” strongly reminds me about it. The album was released in 2015th by Minotauro Records and represents minimalistic instrumental stoner doom stuff. Misantropus follows this path of minimalistic approach in all of band’s aspects: it has rude and primitive artworks with bloody limited number of colours for each of their album, they play totally instrumental music without any vocals, and after all their repetitive riff-based tracks are mostly cyclic. Probably they’re not so misanthropic in real life, but obviously they are pretty reticent. Why?.. 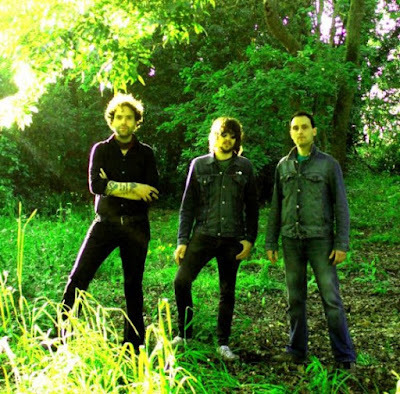 Maybe you’ll get it from this interview with Misantropus collective mind. Hello Misantropus! The band is active for about 17 years, what was on your mind when you start it? We just want to create an instrumental dark doom metal inspired by Paul Chain “ASH”, Mario “The Black” Di Donato “INFERNUS” and “Black Death”, metal band from Cleveland (USA). Misantropus don’t have any official pages – what’s the reason for this secrecy? What’s band lineup? Because we don’t like the excess of technology. MISANTROPUS actual line up is Alessio Sanniti (guitar), Vincenzo Sanniti (bass), Andy Giorgi (drums), Andrea Penso (synthesizers). The majority of your tracks are instrumental; don’t you see vocals as necessary element in your music? No, ’cause MISANTROPUS is “GNOMES METAL” instrumental band since 1998!!! How many changes did it live through since band was born? “LP (2012)” has a dedication to Michael Ivanhov amongst others in a thanks list; it was surprise for me to find his name there. How do his ideas find their way to your music? ‘Cause OMRAAM MIKHAEL AIVANHOV is one of our spiritual Guidance/Master. You have a markedly primitive artworks’ design, what’s the reason for it? We love simplicity and immediacy. 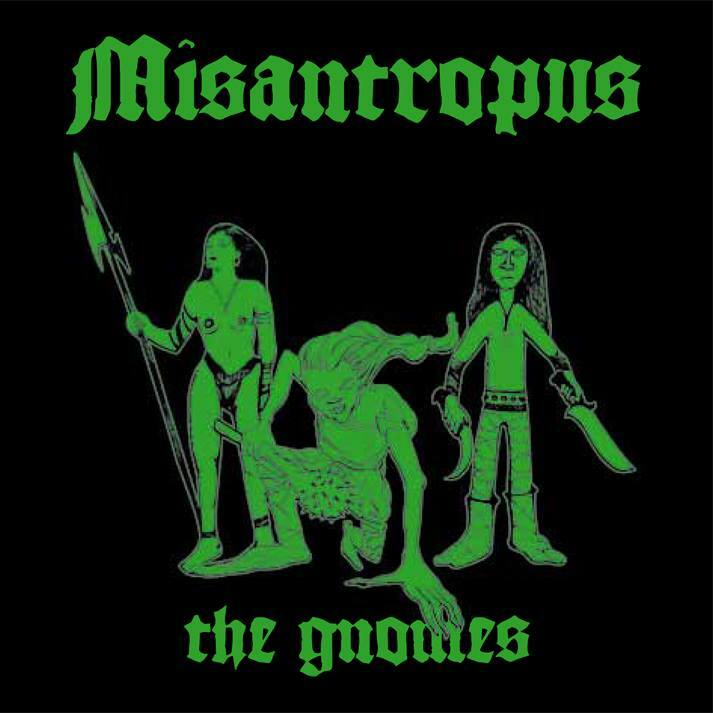 Misantropus new album “Gnomes” was released on Minotauro Records in June 2015, how did you promote it? Just playing it live in Italy: this is our usual way to promote our music!!! The album consists of four songs dedicated to four elements, but there are only three personages depicted on artwork as if it’s not connected with album’s title. Why? No! On artwork are three GNOMES!!! Okay, what interesting do you find in portraying four elements through your music? Our love and respect for Mother Nature!!! The band also released an official video for “The Gnomes”, can you tell about it? The video is the perfect representation of our music: minimal, essential and strong. Thanks to our great friend Fulvio Zagato, the author! I’d like to ask you to tell a story of one song from “The Gnomes” album, which one would you choose? And consider thanks list to “LP (2012)” I would like to ask you to name the most influential book you ever read. Vincenzo Sanniti: Omraam Mikhael Aivanhov Opera Omnia/ complete works!!! Alessio Sanniti: Omraam Mikhael Aivanhov (complete works), Fulvio Rendhell (complete works), Andy Giorgi: Stendhal (complete works). Okay, thanks for your time!